THE ACCIDENTAL DETECTIVE, the investigation comedy that was hit during the Chuseok holidays in 2015 promised viewers a sequel and the project seems to be gearing up for production. Stars KWON Sang-woo and SUNG Dong-il will reprise their roles while MISSING director E.oni will join the team to helm the new installment. The original followed an amateur cold case investigator and family man who tries to get involved in a mysterious case, much to the chagrin of his wife and the senior detective working the case. No details have been revealed yet about who else might be joining the cast and when production is likely to begin. 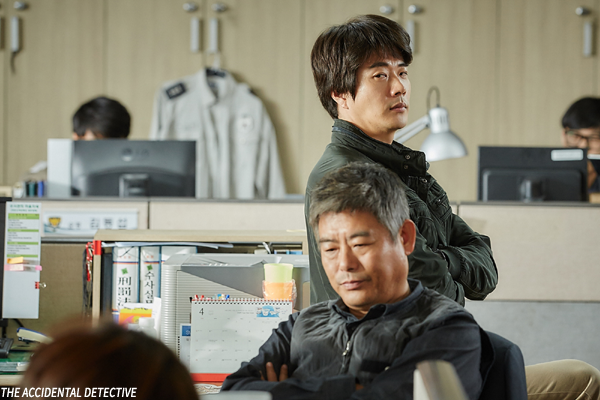 Released in late September, 2015, the first installment of THE ACCIDENTAL DETECTIVE welcomed 2.63 million viewers (USD 18.37 million) and was directed by KIM Joung-hoon. The project will be KWON’s first film credit since the first film though he has been active on the small screen in the interim. Prolific performer SUNG was recently seen in The King and BECAUSE I LOVE YOU, and his upcoming credits include Real and Young Cops. Following her 2003 debut, the well-received romantic drama …ing, director E.oni went on to make Love Exposure in 2007 before returning with the kidnap thriller MISSING last year, which was headlined by UHM Ji-won and KONG Hyo-jin.